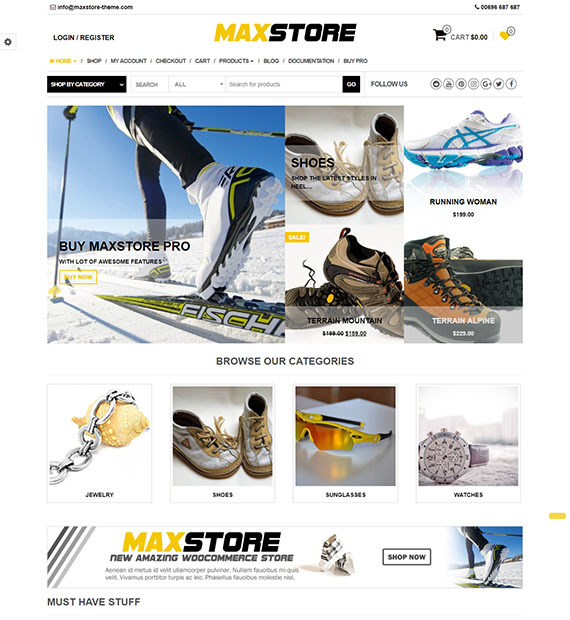 With thousands of active users all over the world, MaxStore is an eCommerce styled WordPress free theme. Perfect for your online store site, the theme features the design based on WooCommerce plugin. Whether you wish to use the theme for fashion, digital, sport or any type of store the flexible layouts and design matches your unique vision in mind. The responsive and creative theme by Themes4WP, makes sure that you get everything that you wished in an eCommerce site!